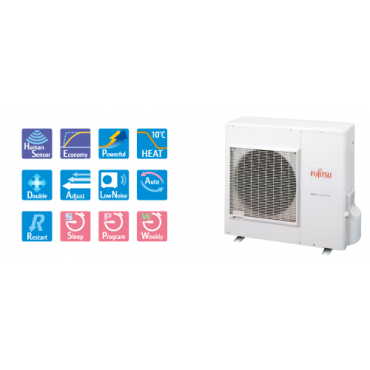 The new Fujitsu 10kW inverter driven wall mounted split, with an energy rating of A+/A+, offering both heating and cooling - even down to -15°C. 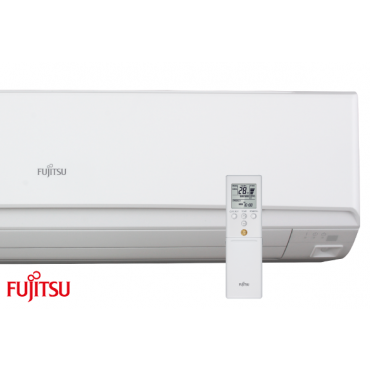 It’s a highly efficient, versatile unit and with Fujitsu’s stamp of reliability combined with great value for money, it’s what our customers have been asking for. A host of other features have been added, including the human sensor, the 10°C heat function to keep space temperatures from dropping too low and the high fan speed mode to bring temperatures back up quickly. All included with the standard wireless remote. Question about 10.0kw/36000 Btu Fujitsu Inverter is Successfully Submitted.